SIX PEOPLE WERE killed when a seaplane crashed into a river in Australia, with the cause of the accident still under investigation. The plane went down in the Hawkesbury River near the suburb of Cowan some 50 kilometres (31 miles) north of Sydney. Police said divers have recovered all six bodies but the identities of those on board have not yet been released. There were unconfirmed reports in Australian media that four of the passengers were British nationals. The British Foreign Office was unable to confirm the reports but said it was in touch with Australian authorities. Acting police Superintendent Michael Gorman told reporters the single-engine aircraft was lying in 13 metres (43 feet) of water. Witness Myles Baptiste told Channel Nine he saw the plane as it crashed. It made a tight right-hand turn and as it actually turned around, the wings dipped and it nosedived straight into the water. A rescue helicopter spotted debris and an oil slick after the crash. Local media reported that the aircraft was from scenic flight company Sydney Seaplanes. Sydney Seaplanes is popular with celebrities and recent passengers have included Pippa Middleton, sister of the Duchess of Cambridge, and husband James Matthews during their honeymoon in Australia. The Australian Transport Safety Bureau said the aircraft was a DHC-2 Beaver Seaplane on a return flight to Rose Bay in Sydney Harbour. The accident came just hours before Sydney Harbour was set to be lit up in a spectacular fireworks display to welcome in the new year. Email “Six bodies recovered after Sydney seaplane crash”. 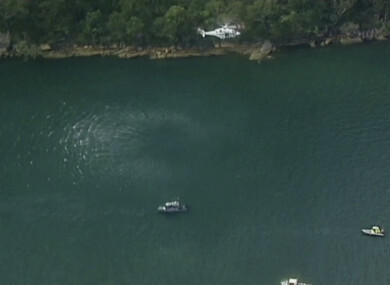 Feedback on “Six bodies recovered after Sydney seaplane crash”.